A nutrient-dense diet helps our brain and body function properly to support the divinity within us (our intuition and Spirit/Higher Self) and the ‘River’ of consciousness from which that divinity flows. An easy way I flood my body with nutrients is by juicing vegetables. 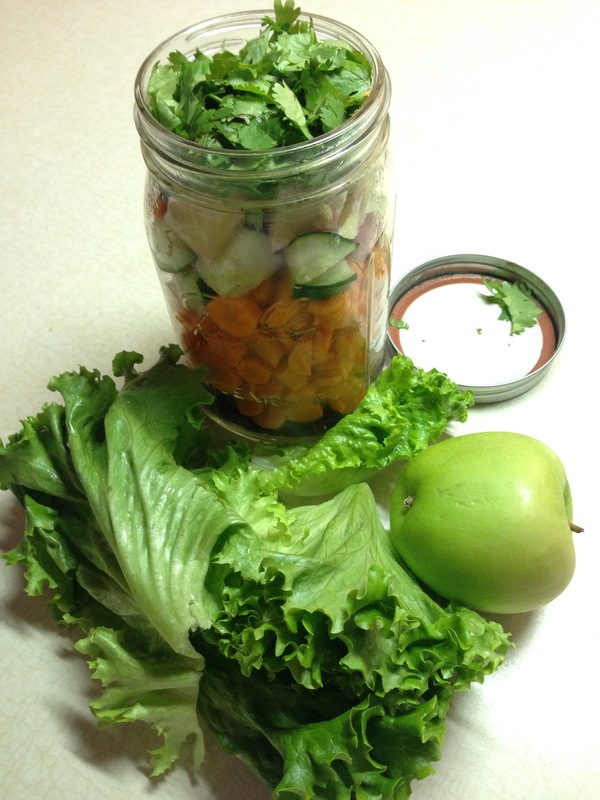 Of course, it’s always better to cut the veggies fresh, but sometimes I don’t have the time to chop everything, so I came up with this ‘Juice in a Jar’ method. Here’s what I do: I cut my ingredients in advance, put ’em in an air-tight jar in the fridge, then run them through the juicer when I’m ready the next day and – voila! See below for the recipe. 1 Handful Greens (your choice: lettuce, kale, spinach, etc) – I used Green Leaf lettuce. Do you have quick tips for juicing? If so, I’d love to hear them in the comments! Much love & many blessings to you! To your life of Health & Bliss!